(L to R) Bill Fraser, Minister of Transportation and Infrastructure, Dr. David Desjardins, CEO, Science East and Deputy Premier Stephen Horsman. 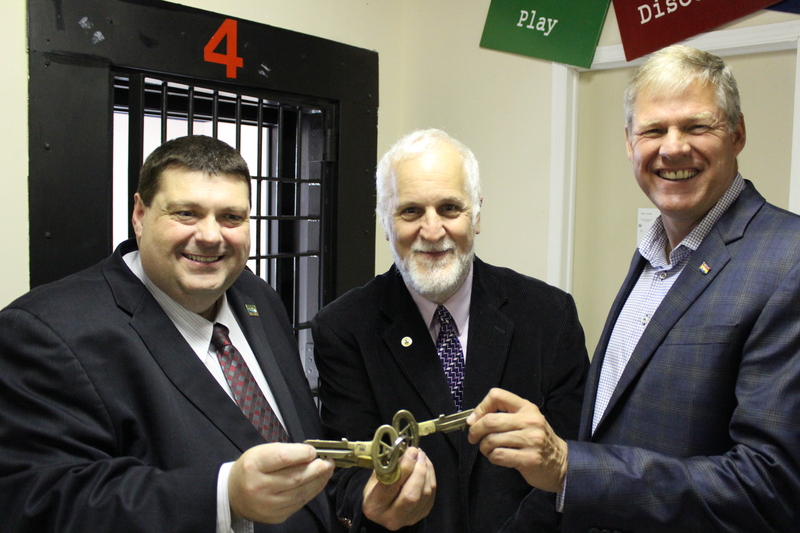 Oct. 11, 2016 (Fredericton, NB)—After two decades of leasing spaces and properties, this week Department of Transportation and Infrastructure’s Minister Bill Fraser and Deputy Premier Stephen Horsman handed over the keys and the ownership of the 174-year old former York County Jail to Science East Science Centre. The building, located at 668 Brunswick Street, is a designated provincial heritage property. The transfer of title expands Science East’s physical property assets significantly. Science East Science Centre is bordered by land committed to the Boyce Farmers Market and parking. In 2014, Science East purchased a house and accompanying parking area directly adjacent to the science centre at 163 St. John Street (Segee House). The house, then owned by the Province of New Brunswick, was put to public tender for sale. Science East subsequently won the tender after securing a mortgage and a donation from a private foundation. Only 5000 sq. ft. of the science centre building is useable public space for education, exhibits and programs. The acquisition of Segee House allowed Science East to move several of their administrative offices to the St. John Street property–freeing an extra 1000 sq. ft. in the science centre for educational purposes. This summer, 16 exhibits from the former Halifax Discovery Centre were moved to Science East. These exhibits will be installed in the former office spaces at the science centre which have now been renovated for exhibit space. 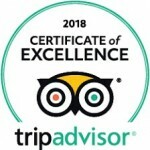 The majority of available travelling science exhibitions for lease in Canada, however, require twice to three times the floor space that Science East currently has available. Science East is considering various ways of addressing these challenges going forward. “We are very excited by this news and we want to thank the Province for its partnership and cooperation. Owning the property will allow Science East to address the infrastructure needs of the building and enhance the profile of its heritage. This is the beginning of a new era for our centre,” said David Desjardins, CEO of Science East. Private donors and foundations have been reluctant to invest in the improvement and appearance of the heritage property while it was owned by the Province. Science East has leased space for at various locations including the former National Exhibition Centre, King’s Place Mall, Brookside Mall and its current location. Science East spent more than $200,000 on renovation costs and approximately $15,000 a year in leasehold improvements of the former jail building. The deed for 668 Brunswick Street was transferred from the Province to Science East for $1.00. This transfer of ownership provides a permanent home for Science East in the heart of downtown. Science East is a registered Canadian charity.